Suction cups with hooks: Hang signs in windows. 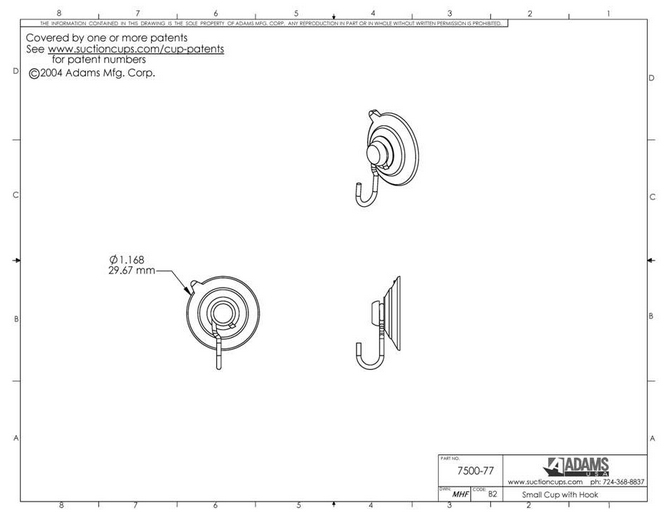 These are our small suction cups with hooks measuring 32mm in diameter when applied. 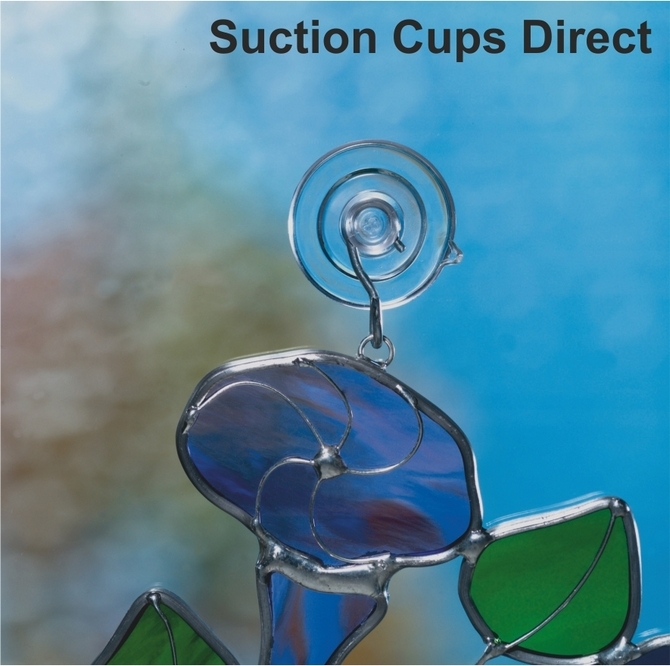 We have a mini suction cup which is smaller at 22mm in diameter which can be viewed by visiting our home page to view our "suction cups by type" images. 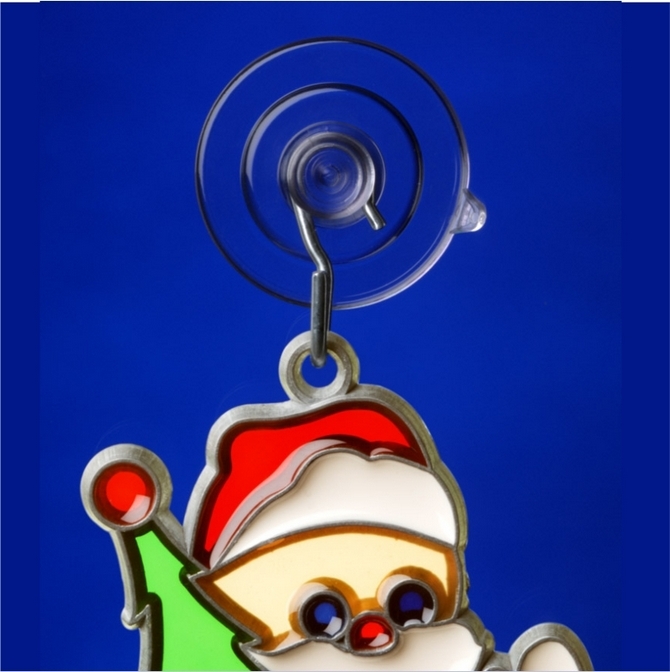 For a professional look and reliability, Adams suction cups with hooks are ideal to hang posters, door or window signs, documents, stained glass, sun catchers, thermometers or crystals etc. as they are rated to hold one pound (0.45kgs) in weight. Fix Adams suction hooks to a flat, clean, dry, slick or shiny, non textured, non porous, non textured surface like glass, mirrors, glossy plastic or glazed ceramic tiles. To remove, just lift the quick release tab which eliminates damage by finger nail picking on the suction cup edge.